Even though there is a lot of competition in the food delivery apps industry, it still is a very promising sector. There are many factors that go in making a food delivery system and there are several models that businesses can use in order to launch one. This article will cover the basics and tell you about all the benefits there are to food delivery system which you can use to your advantage. 1 What is the concept behind food delivery systems? 2 What is the main advantage? What is the concept behind food delivery systems? The basic idea behind mechanism like food delivery apps such as foodfindr is to enable delivery of food to doorsteps from restaurants or food businesses. Such websites or apps make it easy for customers to have a variety of restaurants at their disposal to choose from. They key benefit to a food delivery system is the easy and convenience they enable for customers when it comes to having access to food. They make it as easy as tapping a few buttons. With the help of such apps and websites, customers can look through as many menus as they please and place an order at their convenience whenever they want to. However, where does the source of money come from? This is what we will be looking into. There are many instances where a restaurant does not have employees to handle deliveries, and this is where the food delivery app or website can monetize from. The fee can be a percentage of the price of the meal, or a standard fee. Delivery charges are the main source of revenue for the delivery app companies, however a restaurant cannot solely depend on this model. During peak hours such as lunch hours, the food delivery app can charge extra. This approach can be very successful and you will be surprised at the number of people who actually pay the extra fee to get their food during lunch timings. However, not everyone will be willing to pay the extra fee and they may end up resorting to a competitor who they find cheaper. Making money through offering advertisement opportunities to restaurants is a very popular approach. This usually means that the name of the restaurant would be listed as first on the app or website. Such apps also charge a fee from restaurants if they want to display some promotional ads for them on the app or website. However, the level of competition is increasing and it is important for the apps to select restaurants who they are trusted partners with. Upon reading all these ways, you have a clear idea how profitable food delivery apps can be as a business idea. 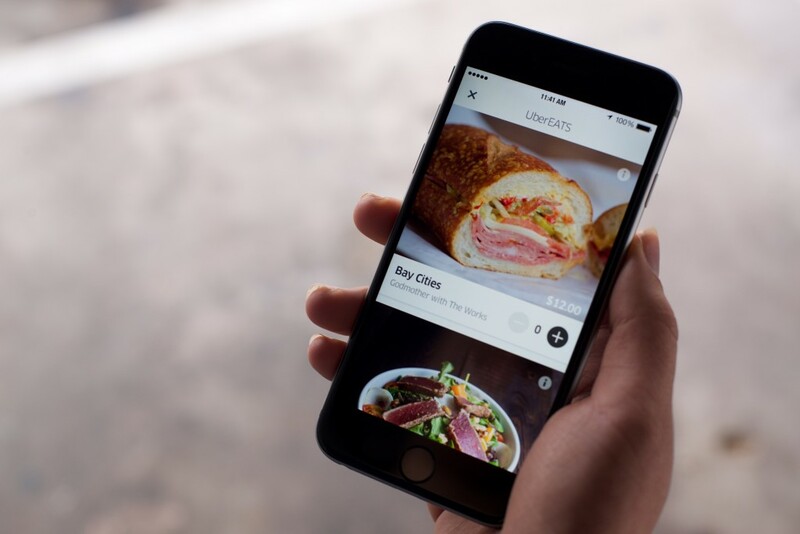 Apps like UberEats and Deliveroo are two evident examples of success. If you want an edge over the food industry, this is your way to achieve that which you can tweak and tailor according to how you please.